It took some time, but I have it! 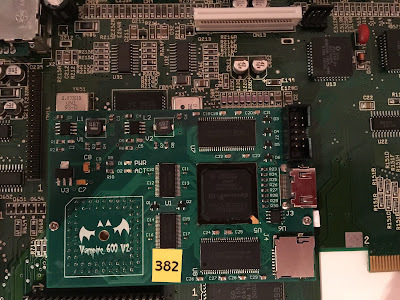 Vampire II! 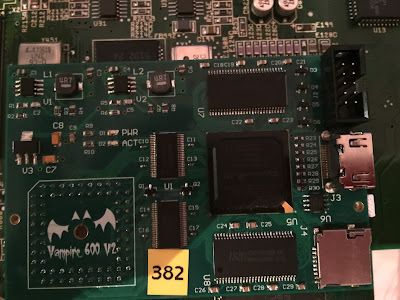 The latest ultimate 68k accelerator for Amiga (600). To make it complete, of course I was forced to buy Amiga 600. Let's look on instalation process from hardware and software side. 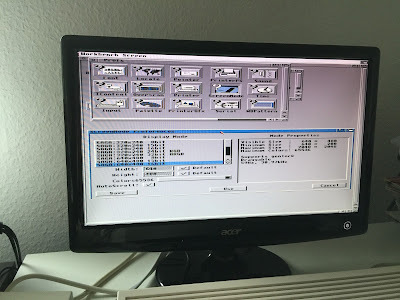 First step of course is to open Amiga 600. In my case I had not stuff like hard disk, floppy drive, metal shield. If you have things like mentioned above you sould remove all of it. Also not bad idea is to remove connection between keyboard and motheroboard and then upper part of case to have better access. 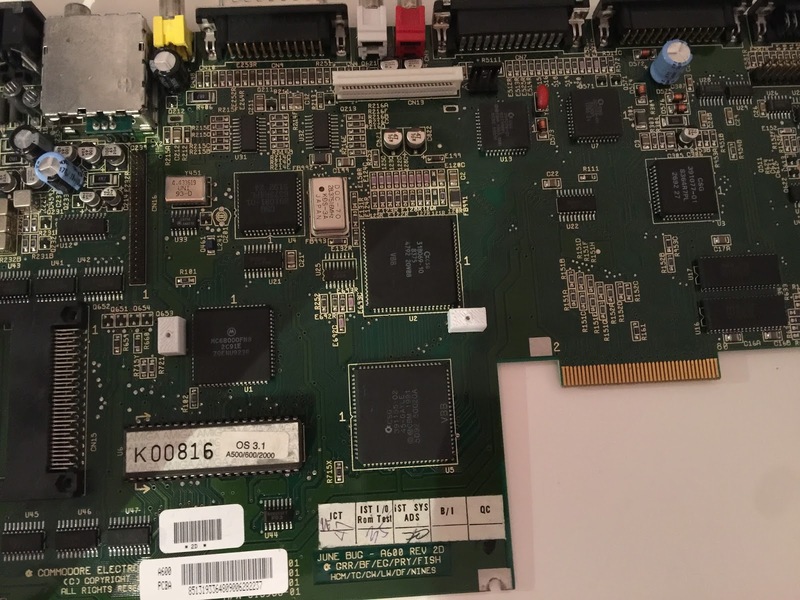 Next step is to remove motherboard with metal shield. This part is not so easy, because mouse and joystic port and holes in case are on the limit. 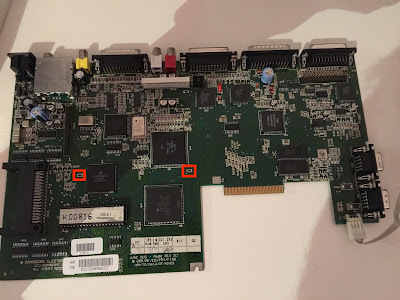 The best way is gently push out this part of case and try to remove motherboard from this side. The whole process takes time, but it is a matter of some combination of movements. To mount Vampire on 68000 processor there is no need to (even) remove motherboard from case. 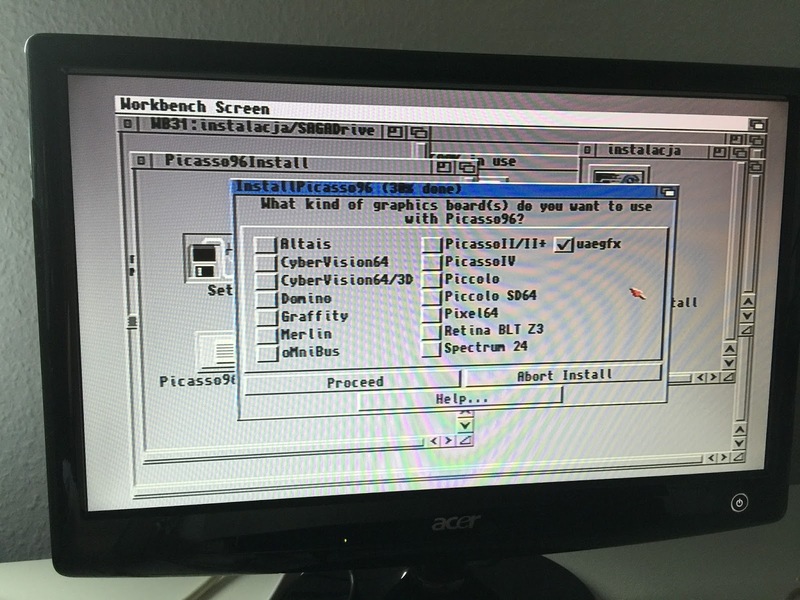 But it is recommended, because we will install extra suppor for turbo card. All stuff is already prepared by Kipper2K: support blocks, alcohol cloth etc. 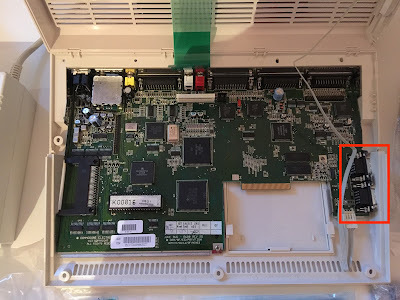 After removing everything from the case, we should unscrew ports from the metal part. And now motherboard is alone. :) We will use two holes to mount two plastic support boxes from Kipper. 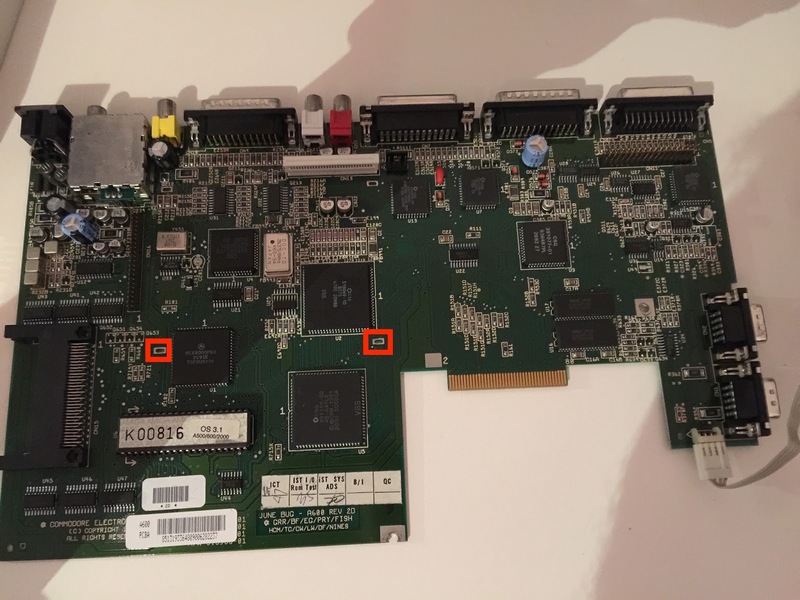 For fixing them on motherboard there are two small screws. Good idea is not to make it full screwed, because it good to have option to adjust whole construction. Now the Vampire! The card is very small, compact, very nice. Looks good of course. 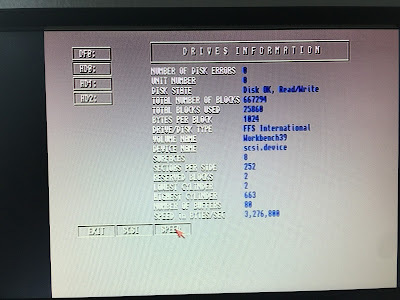 As I see number 382, it looks like I'm 382 user of this masterpiece. :) I must admit the biggest problem is to order it. After sending email you must wait and wait and wait... After this, in my case I think it was about 3-4 mounths you will recive email with details about payment, shippment etc. 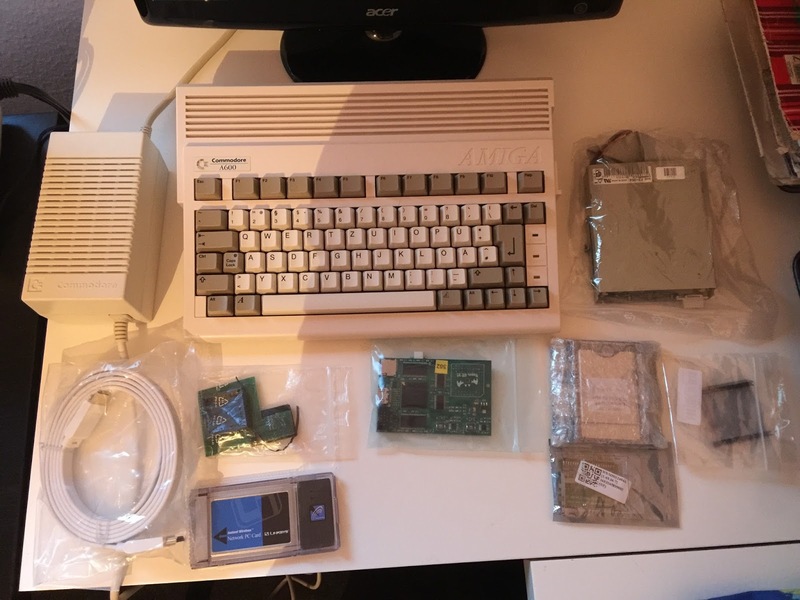 Payment is made by PayPal and shipment in my case to Germany with standard options (unsecure, the cheapest one). And after only 4-5 days Vampire come to home! :) Amaizng, isn't it? So fast. Before I was thinking about USB option and some scandoubler, but as I mentioned above it is connected wit cutting the housing. And really with Vampire I don't need scandoubler (ok, now not 100%), because I have HDMI with RTG support! 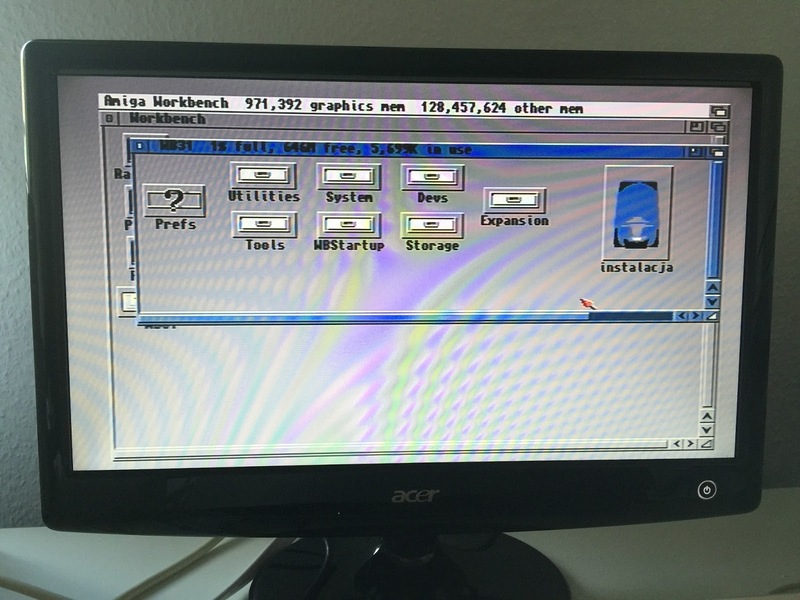 USB is very nice and I'm loving it in my Amiga 2000, but this is big Amiga. Here I thnik is enough to have only CF reader, because mainly I will transfer data over my LAN network. 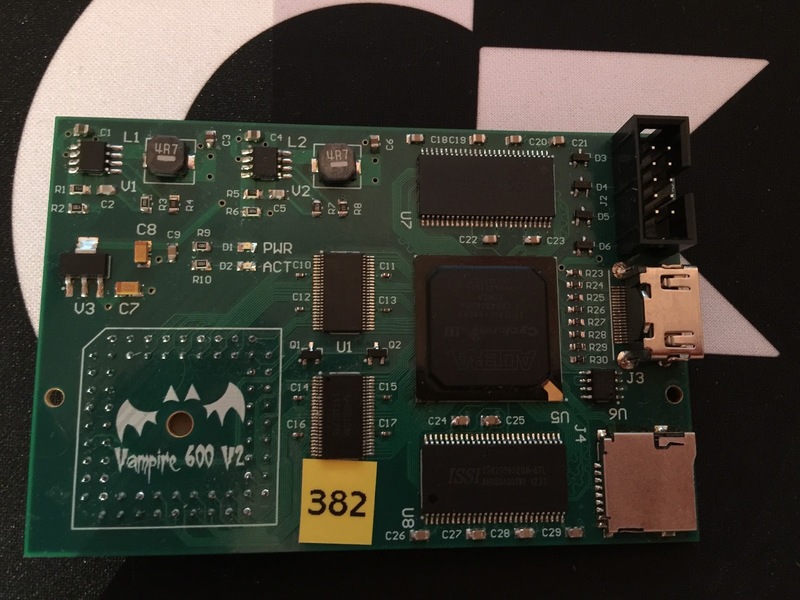 Back to Vampire and A600. 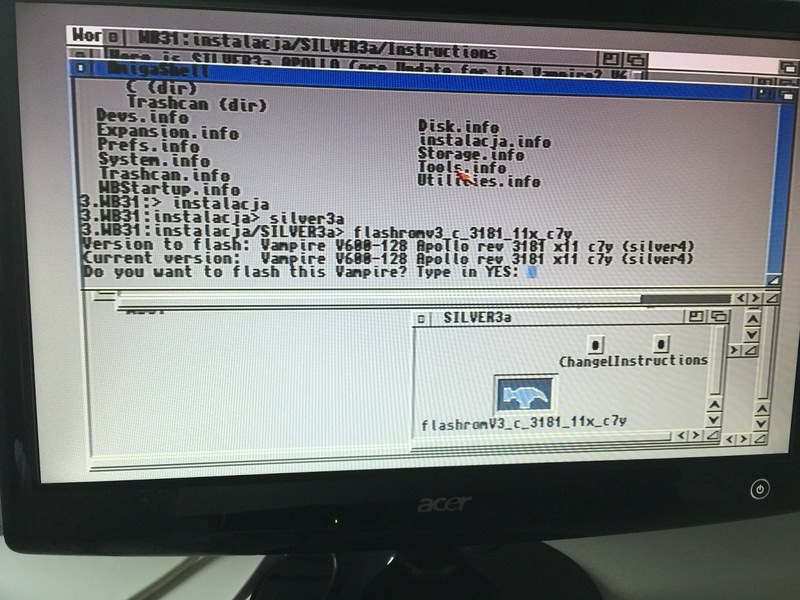 Process of instalation is super easy, just place Vampire on 68000 processor and press it down. Then screw all with bigger screws to support, which is already mounted on motherboard. That's all! 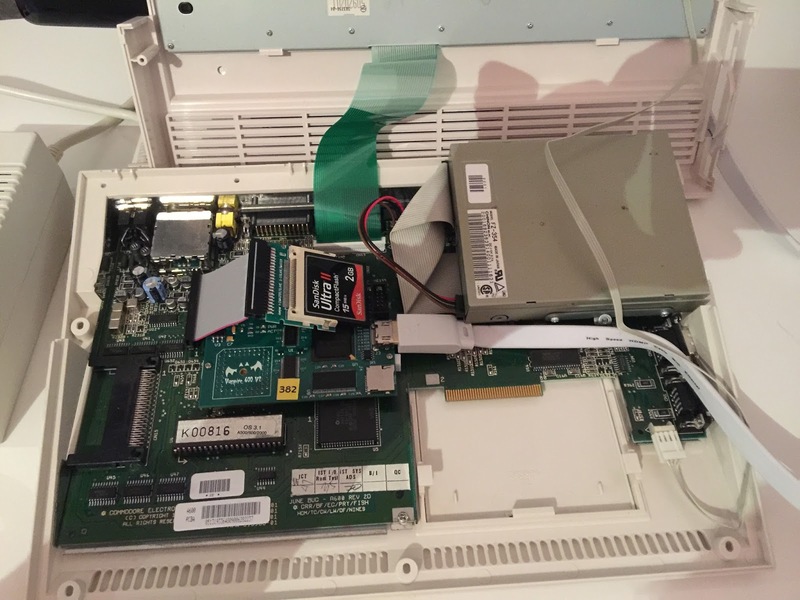 Next we go backward: we must put motherboard into metal shield and whole part into case. Of course it's a little bit tricky, but after some minutes all is ready. The rest is only HDMI cable, CF card and floppy drive. The HDMI cable go out through trap door, for now I just removed. But I have plan to modifity it, it's better to cut this part than case. 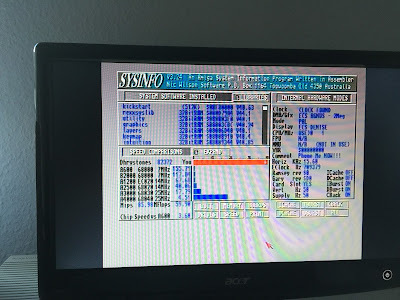 some stuff like MUI, SysInfo. You will recieve information about version of flash. In my case there was no need to update firmware, I have just pressed Enter. 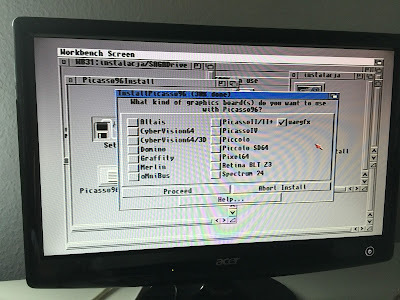 Next part is to install Picasso'96 with uaegfx option! It's very important to do it with this. 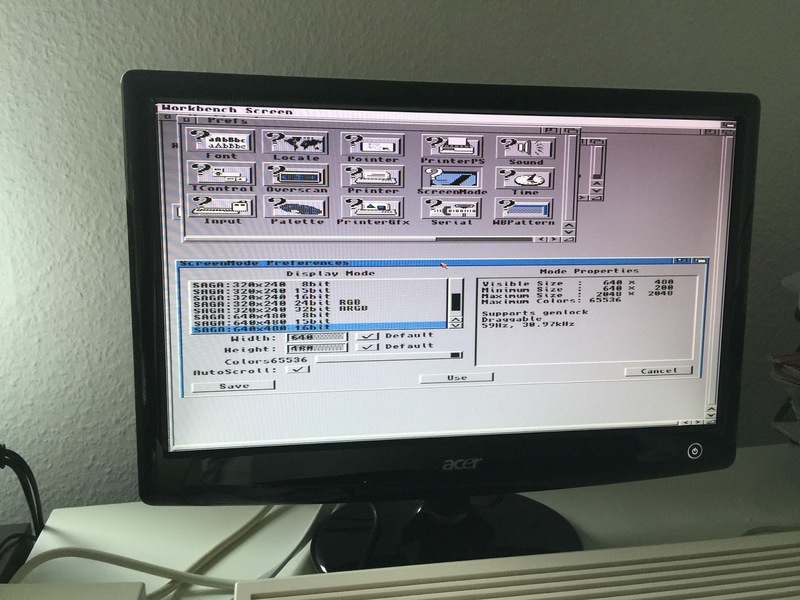 Then just install SAGA driver and reset the Amiga. After this in ScreenMode theres is SAGA display mode. 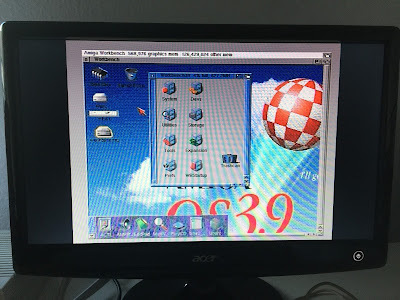 Sadly maximum is 640x480 but with 32-bits. :) Of course I'm waiting for more, as well with SD card option. Few days ago there were updates and now we have more display options and SD card support. Later I will test it. 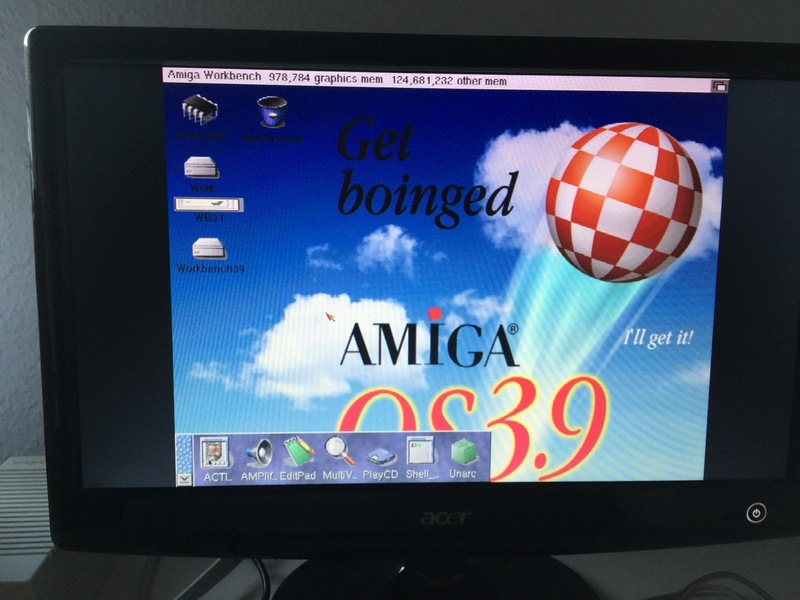 I'm not big fan of AmigaOS 3.1, I'm a bigger fan of 3.9 (or of course 4.1 :)). 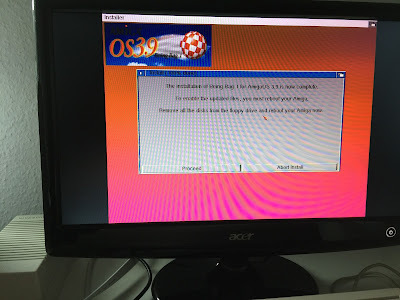 The install process of 3.9 isn't complicated. 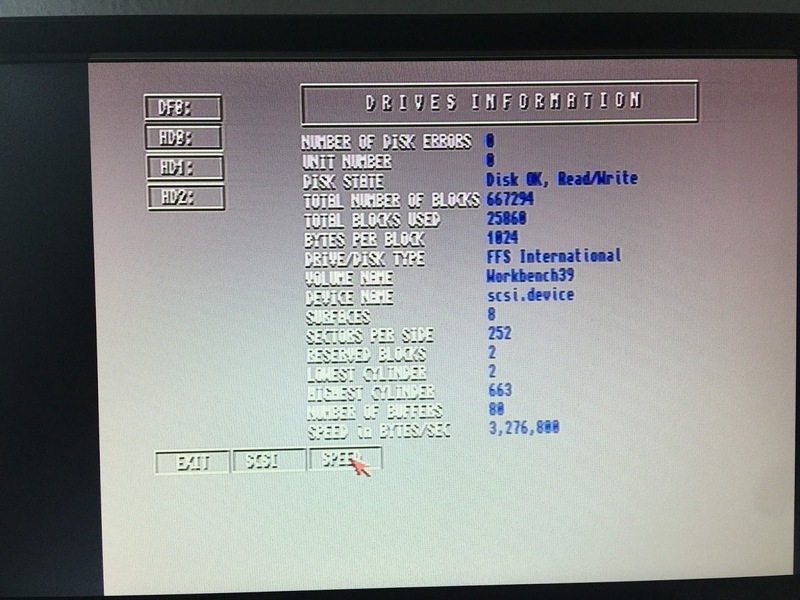 One tricky part, when you don't use real CD is to make assign to drawer where is copy of install CD. After this install AmigaOS 3.9 as usually: over 3.1 or in fresh partition. 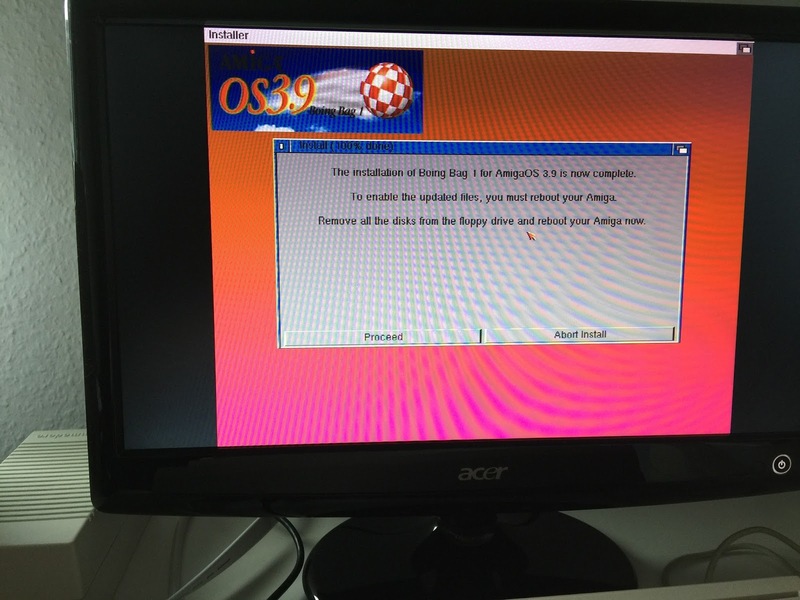 It's working also from first boot! Installing Boing Bag (1 and 2) is the same procedure like installing of OS. First you must make an assign to drawer where is copied CD. 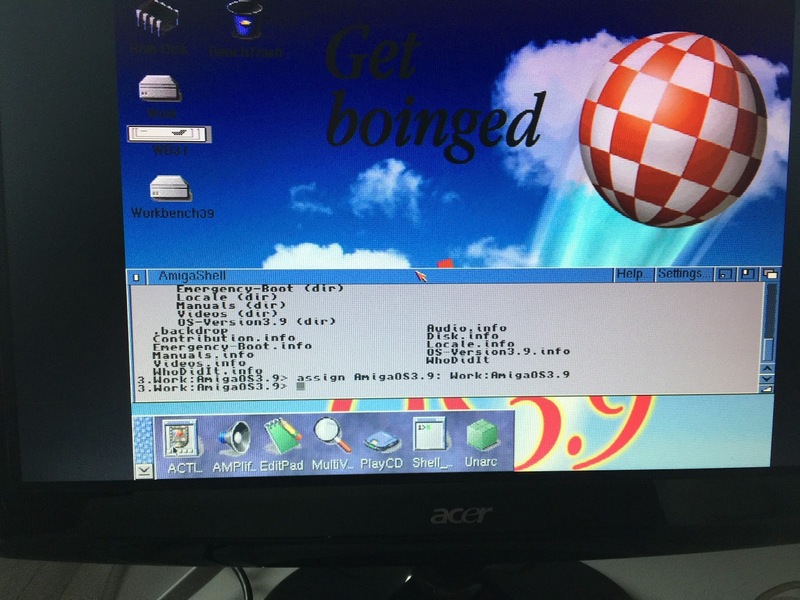 Boing Bag 1 makes no problems, but with ROM Update (Kickstart) included with Boing Bag 2 there was 0 Fast memory... I hadn't solve it, for now I'm running 3.9 with ROM Update from BB1. That's all folks. 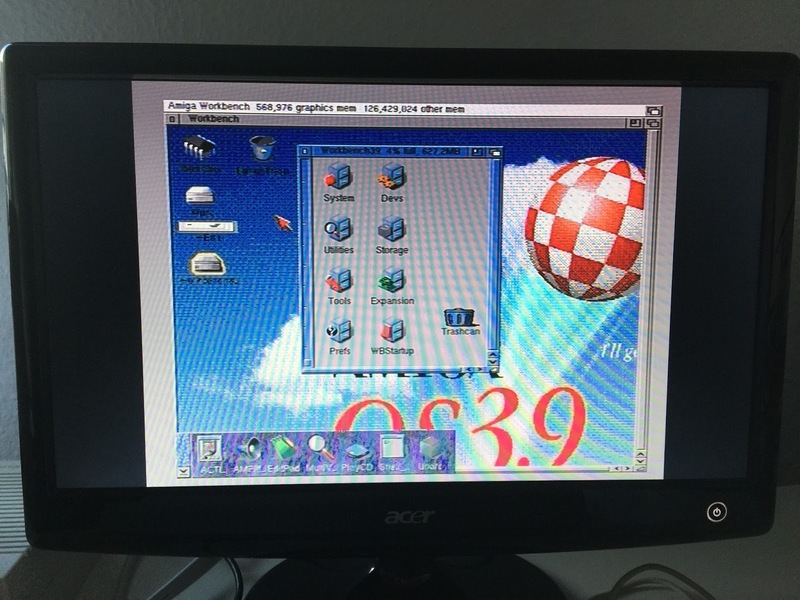 In future I will check Real AmiKit and of course I will setup AmigaOS 3.9 with all stuff that I need. For sure A600 with Vampire II is very nice and fast 68k Amiga! More about Vampire's future you can learn from AMIcast episode 10: interview with BigGun - responsible guy for FPGA things.